Earlier this morning, New Japan Pro Wrestling released the entire (confirmed) card for January 4, 2017’s Wrestle Kingdom 11 show. 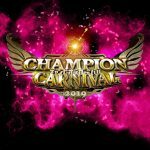 NJPW’s version of WrestleMania, Wrestle Kingdom carries on a decade-long NJPW tradition of the Tokyo Dome January 4 show and is the company’s largest show of the year. Wrestle Kingdom often closes the book on the prior year while offering new beginnings, new starts and potentially new eras. Playfully referred to as the New Japan Rambo but some fans—an inside-joke related to poor Google Translations of Rumble—this pre-show royal rumble style battle royal is often a highlight of the show. The match is not very good but it features a cavalcade of roster members, surprise outsiders and returning legends. Last year’s Rumble was highlighted by ROH’s Cheeseburger, The Great Kabuki, Hiro Saito, King Haku and Yoshiaki Fujiwara. Tiger Mask W returns to a NJPW ring! For those unaware, Tiger Mask W is a Japanese anime series based off the classic Tiger Mask character. 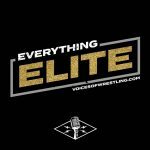 Our very own Kelly Harrass has been reviewing past episodes if you’re interested in checking out the series. The living form of Tiger Mask W debuted at NJPW King of Pro-Wrestling in October with former Wrestle Kingdom semi-main eventer Kota Ibushi in the role. As far as we know, Ibushi will once again be donning the famous Tiger Mask for this content. The real question now: who will be Tiger Mask Dark? In Tiger Mask’s debut, he battled Red Death Mask, who was later revealed to be Juice Robinson. It won’t be Juice this time as he’s busy (more on this later), so who could it be? One rumored name makes all the sense in the world both on a business and creative end and would be perfect for the role. By virtue of winning the Junior Tag League, Roppongi Vice, who appeared on the brink of breaking up, now has one of the biggest matches of their careers. Sure, they have held this belt numerous times but this is a moment to knock off one of the preeminent teams in pro wrestling (Young Bucks) and do so 2-vs-2, a rarity in IWGP Junior Title history, particularly at Wrestle Kingdom. That this remained just a two team match is a damn miracle given some of the Jr tag clusters in recent memory. Forget the New Japan Rumble, THIS is the get everyone on the card match! Look at some of the names here: Ospreay, Ishii, Ricochet, Kojima, three members of Ingobernables. There’s bound to be disappointment among some fans as a few of these very deserving workers have been relegated to a cluster match. Six months ago, many of us thought Ospreay was bound for a title match with KUSHIDA but he’s tailed off in the final stretch of the year. Ishii, familiar to big time singles matches at Wrestle Kingdom, has taken quite the step back in NJPW’s pecking order since last year’s spectacular performance versus Shibata. Regardless of certain wrestler’s positioning, this match looks absolutely nuts. If given time—and it should since the show typically runs 4-5 hours long—this could be the surprise match of the night. Yeah, it’s the NEVER Openweight Six-Mans and the titles don’t mean a lot in the grand scheme of things but everyone will be looking to have a top notch performance in front of a huge crowd so look for this to over-deliver on expectations. The added Gauntlet stipulation should only enhance this potential show stealer. If you’ve been living under a rock or avoiding news from the weekend, Cody Rhodes dubbed “The American Nightmare” Cody was announced as the newest member of Bullet Club and is set to debut in NJPW at Wrestle Kingdom 11. He takes on the man best suited to get an awesome match out of a debuting worker that some people may not be familiar with, Juice Robinson. Formerly NXT’s CJ Parker, Robinson excels in spots like these and is absolutely the ideal opponent for Cody in this debut — look no further than the star-making performance Parker put on with the debuting Kevin Owens. When NJPW needed someone to make the debuting Tiger Mask W (even if it was just Ibushi under a mask), they chose Robinson. He’s the goods and should make Cody look like a million bucks. As far as “The American Nightmare”, whether you love Cody or hate Cody, you can’t knock the hustle. He set his sights out on big spots like this when he left WWE and to his credit, he’s done just about everything he wanted. Not a super worker by any stretch of the imagination, it’ll be interesting to see what type of live crowd reaction Cody receives. Are fans aware of him enough to care that he’s now in their company on their biggest show of the year? It’ll be an interesting test case not only in Cody’s importance but the power of the black and white of the Bullet Club. Speaking of Bullet Club, Adam Cole looks to regain his ROH World Championship versus long-time rival and former tag partner Kyle O’Reilly. The two had a brutal (in a good way!) 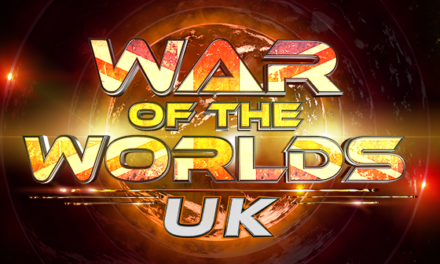 match at ROH Final Battle 2016 and will look to impress the Tokyo Dome here. 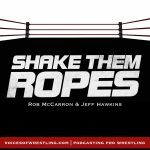 Previous ROH Title matches in New Japan have fallen flat but that’s had more to do with the competitors in the ring versus Ring of Honor as a brand. 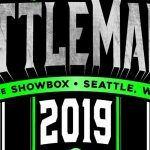 This one should do just fine — fans have already been invested in O’Reilly from his time in the company both teaming with Bobby Fish as reDRagon and his solo title shots versus KUSHIDA and Katsuyori Shibata. The interesting story here is the up in the air contract situation of O’Reilly. His ROH contract is running out and no new deal has been signed on his end. Whether he stays with the company or not will become very obvious with the result of this match. Great Bash Heel, surprise winners of the 2016 NJPW World Tag League, will face long-time rivals Guerillas of Destiny for the IWGP Tag Team Championship. An initial reaction to this match listing is an eye roll as these two teams battled numerous times in 2016 to less-than-stellar results. 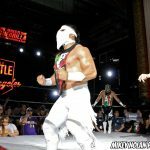 However, Guerillas of Destiny are far improved from where they were earlier in the year giving some hope to this being far better than what we witnessed months ago. You would have loved to see a different team in this spot, Goto and Ishii being a favorite pick among our readers, but circumstances (some beyond NJPW’s control), played a part in us getting this rematch. Takahashi, the former Kamaitachi, was officially announced as a Los Ingobernables de Japon member over the weekend giving this match added tension. KUSHIDA has solidified himself as the ace of the junior division, can he get through his next roadblock? New Japan will want to re-debut Takahashi with momentum so don’t be surprised to see Hiromu get the win here, even if it takes a little help from his Los Ingobernables buddies. 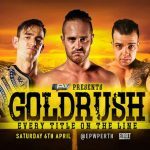 Could KUSHIDA fend them off and survive with the title? Sure, but that probably doesn’t present the most interesting story moving forward. Regardless of the potential finish, this match, given its spot on the card, is expected to and will be fantastic. 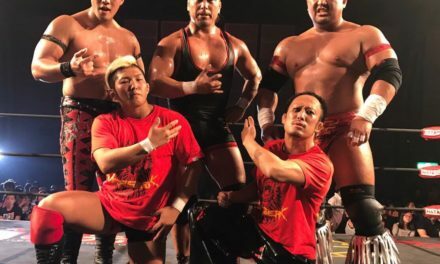 Takahashi is a maniac willing to put his body on the line for the big spot while KUSHIDA has polished his work to another level in 2016, becoming one of the best juniors in the world. A huge feud throughout the latter half of 2013 and early 2014, Shibata and Goto, childhood friends do battle for Shibata’s NEVER Openweight Title. This will be hard-hitting and grotesque at times, but that’s the Shibata way. People sleeping on Goto and what he could bring to this match are in for a great surprise. Goto isn’t the most consistent or even the most easy to root for wrestler on the New Japan roster but when the time is right, he delivers… and delivers big. There will be added emotion with the former tag partners doing battle so expect a brutal (again, in a good way!) contest between two of NJPW’s hardest hitters. All signs point to Shibata retaining but Goto is a more than worthy champion should New Japan decide to make the move. The surprise sale of Pro Wrestling NOAH may have played a factor in this, somewhat thrown together contest. Months ago, all signs pointed to Go Shiozaki, a representative of NOAH, facing Shibata in this spot. The feud had been built up perfectly with Shibata and Shiozaki both “invading” the others brands and being disrespectful about it. Shibata even took it a step further defeating Shiozaki in a NOAH ring and shooing him away after the match. A rematch seemed destined to occur. The lack of NOAH talent on any of this card should tell you all you need to know about the future of their working relationship. That noise you hear is the audible groans from Los Ingobernables fans worldwide after Tanahashi defeats Naito for the Intercontinental Championship. But seriously, Naito should win here, it would be the right move for all involved and while a Tanahashi win could set up a longer story between these two, Naito could use a huge win in this spot. Only a few years removed from being voted out of the Wrestle Kingdom main event slot, Naito would do well to prove his evolution with a definitive win against one of NJPW’s all-time legends. It would cap off what has been a transformative year for Naito, his character and his unit. At last year’s Wrestle Kingdom Kenny Omega lost his IWGP Junior Heavyweight Championship to KUSHIDA in the 6th match from the top. Now, just a year later, he’s in the main event, against IWGP Heavyweight Champion Kazuchika Okada with a very real chance to walk away from the event with the top prize in New Japan Pro Wrestling. What a year. The number one beneficiary of Shinsuke Nakamura and AJ Styles’ departures to WWE, Omega has risen to the occasion better than almost anyone could have expected and now sees himself in the most important match of his career. Okada, who himself has had a low-key Wrestler of the Year-type year, seems an afterthought in this match as all eyes are on the continued evolution and emergence of Omega. Either way, there’s no chance this match doesn’t deliver or provide great enjoyment for fans of New Japan Pro Wrestling. Okada and Omega are two of the most inventive wrestlers of this era and both arguably in the prime of their careers. Okada is as good a big match wrestler as there is these days and Omega showed the world what he was capable of in the final days of this year’s G1 Climax. This is going to be great and the result being as up in the air as it is only enhances the anticipation. 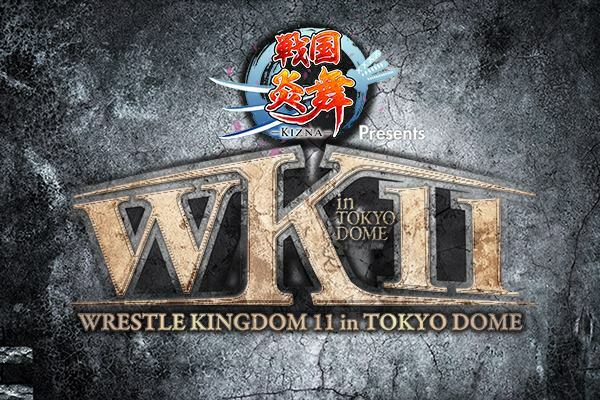 Be sure to follow VoicesofWrestling.com, @VoicesWrestling on Twitter and our forums (voicesofwrestling.com/forums) over the next few weeks as we discuss, preview and get ready for Wrestle Kingdom 11. 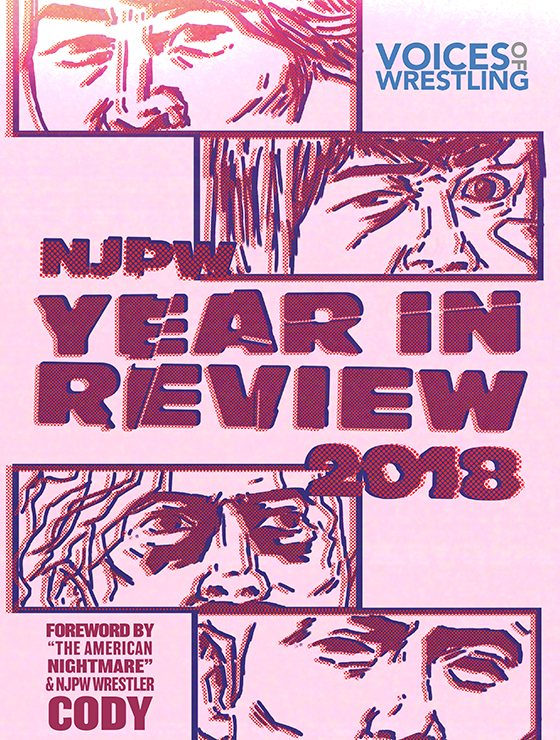 Before this year’s event we will also be releasing our annual NJPW Year in Review eBook, so keep an eye out for more details on that shortly.